There is considerable demand for special education services for the over half a million students with autism in the United States. While assistive technology may augment educational services, its implementation is often prevented by a number of practical and attitudinal barriers. These barriers are especially pertinent for the newest and thus least familiar digital systems, such as computerized smartglasses loaded with specialized software modules. Computerized smartglasses are a technology that has already been shown to have an ability to deliver educational interventions through augmented reality. With this in mind, we sought to understand how school educators received and assessed the practicality of a smartglasses-based educational intervention in a single-subject study. The intervention was designed to aid with attention and social educational learning in autism. The intervention was delivered twice a day during a two-week study on a 13-year-old student with autism who was attending a mainstream middle school in Massachusetts. Three different school educators delivered the intervention: the student’s general education teacher, special education teacher, and paraprofessional. 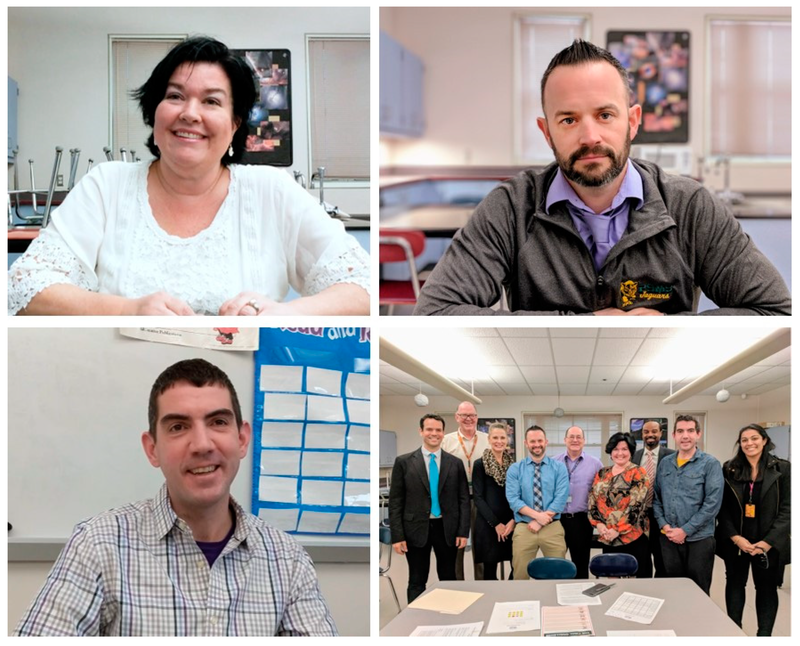 Educators recorded their attitudes, the practicality of the technology, and its impact on the student and their classroom through the use of a digital log and a series of in-person interviews. Overall, the school educators experienced a positive view of the smartglasses. The smartglasses intervention was found to be logistically practical to implement, easily usable by both the educator and student, and not time-consuming to learn or implement. Educators also identified the experience as being fun for the student, and felt that the student demonstrated improvement in his verbal and non-verbal skills. There were no adverse effects on the other students or the classroom, and the technology did not result in a distraction. These findings suggest that social skills interventions delivered by smartglasses may be practical, useful, and may lead to improvements in social communication skills. Further research on smartglasses may help to clarify the future role for augmenting special education in students with autism. Over half a million students in the United States receive autism-related special education , and this number is expected to grow due to the rising prevalence of autism . School-based special education plays a central role in the lives of students with autism and their families , yet special education services have been strained by high demand , leading to burnout among school professionals  and parental unhappiness . While social skill-based educational interventions are effective for students with autism [7,8], special education services have struggled to provide this type of service . This is of concern, given that the social and behavioral deficits addressed by these interventions are some of the most challenging and impairing problems for students with autism . Assistive technologies may help to address this need, and have proven themselves to be beneficial for people with autism [8,11], and their need must be evaluated whenever an Individualized Education Program (IEP) is created or updated . Assistive technologies may be an extremely useful tool for educators who are asked to deliver a modern inclusive educational experience where they must balance differentiated content-based instruction that is appropriate to their neurodiverse learners while continuously identifying and resolving individual-specific difficulties in the learning cycle. Assistive technologies may allow educators a platform that not only helps them deliver educational content, but it may also through the use of sensors that can collect learner cognitive and behavioral metrics allow them to have real-time data on student performance and engagement. This data may be analyzed in a manner that could facilitate the optimization of daily instruction, but as well as potentially craft more personalized and targeted long-term goals and IEP objectives. While assistive technologies are particularly useful in delivering social skills interventions [13,14], many barriers exist to their use [15,16]. Ertmer outlined two types of barriers that prevent teachers from integrating technology into their classrooms . These barriers are broken down into those that are considered “internal” or “external” to the teacher. Internal barriers include the teacher’s confidence, beliefs, and perception of the technology’s value, while “external” barriers include issues regarding the availability of technology, support and training services, and financial barriers. While external barriers are important to consider [18,19], it is believed that internal barriers, such as teachers’ core attitudes and beliefs regarding learning and teaching, are of greater influence [20,21]. Even teachers who are highly successful in implementing classroom technology identified the attitudes of other teachers as being the most impactful barrier to further technology integration . Compared with their students, teachers may be more critical of the value of technology integration in schools . Some researchers believe that teachers may feel hesitant about technology because it can challenge their role within their own classroom ; it may result in a need to change their classroom routine , and they may not feel confident implementing such technologies . 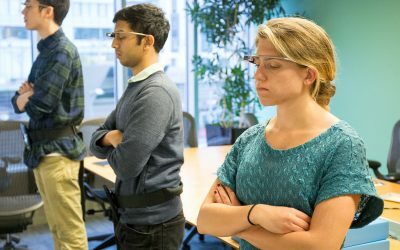 Internal attitudinal barriers may be especially pronounced when considering smartglasses, especially given past negative social perceptions [26,27], concerns about the potential for technology to be a distraction , and reports of usage-associated frustration and irritation . Given the relatively low business and consumer uptake of smartglasses, educator unfamiliarity with this technology is also highly likely. External barriers, such as teacher training, are also widespread. Evidence suggests that neither general education nor special education teachers are adequately trained to apply assistive technology to their classrooms . The deployment of technology in a classroom requires both time and effort for preparation, implementation, and troubleshooting. Teachers may perceive that newer technologies may add to their workload, and result in them having to work beyond their scheduled school hours. Research has found that a teacher’s willingness to work beyond their contracted hours is predictive of their technology use in the classroom . While assistive educational technology for special education is generally believed to be beneficial, some educators have described both increased student distraction and frustration with the use of such digital devices . This is of particular concern among children with autism, as they commonly demonstrate inattention, and may also experience severe behavioral dysregulation from even minor technological mishaps . Distraction may also result when educational technology is used by students for non-educational purposes . This situation is more likely to occur when students find the classroom tasks too easy or too difficult . New assistive technologies based on smartglasses, which are computerized glasses with an optical display, may herald a new approach to help augment special education services . Smartglasses, such as for example Google Glass, contain a complex array of sensors, and are able to collect video and audio data from the user and the environment. They are also able to monitor movement and velocity through an inbuilt gyroscope and accelerometer . Smartglasses can provide users with video and audio guidance through an inbuilt display and bone conduction/audio speakers. However, there are substantial knowledge gaps and conflicting reports in regard to how these devices may be used in real classrooms, and optimized for teaching and learning [36,37]. Some early findings in university settings suggest that while educators may be very interested in using smartglasses, they may encounter technical and usability difficulties when they attempt to do so . 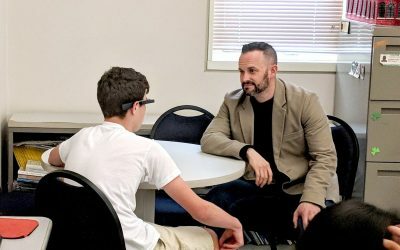 Specialized smartglasses designed for socio-emotional learning have been found to be feasible , well tolerated , safe , and help reduce symptoms of autism [34,40] and attention deficit hyperactivity disorder . Additionally, despite past negative perceptions and stigma associated with such devices, children with autism express a desire to use these socio-emotional assistive smartglasses technology in the classroom setting . However, real-world classrooms may provide a much more challenging setting for social skills interventions  than the controlled research environments where much of this research has been conducted. The teachers who utilize this technology during their normal school day will be able to rapidly assess the key technical factors that have been shown to drive the adoption of this technology, such as its reliability, ease of use, and a belief that the technology can aid learning . There is also a need to understand the perceptions and attitudes of school educators, especially as smartglasses-based educational interventions are novel and largely experimental. Through exploring both practical issues and teacher’s personal perspectives, this report aims to shed light on internal and external barriers to the adoption of smartglasses as an assistive special education technology. The broader impact of the smartglasses system on the educator, their teaching, and the rest of the class. Figure 1. The Empowered Brain platform. 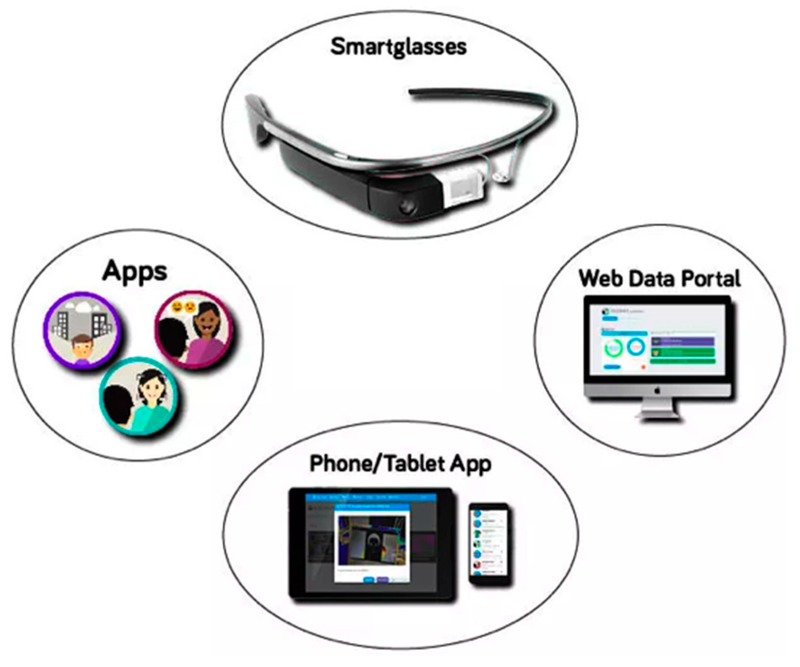 The Empowered Brain is a digital platform and includes apps that run on smartglasses such as Google Glass, companion apps that run on a phone or tablet and are used by the facilitator not wearing the smartglasses, and a web data portal for documentation and analysis of user learning and progress. The Empowered Brain is based on smartglasses that are worn by the student in a similar manner to glasses, and provides an intervention while the student is interacting with a facilitator (e.g., a teacher). The smartglasses provide the user with contextually appropriate visual and auditory guidance and cues in real-time. For example, it can guide users to pay attention to the faces of the people with whom they are interacting through virtual guidance arrows and cartoon-like masks that are superimposed on the facilitator’s face. The Empowered Brain incorporates game-like experiences, so that improvements in performance lead to in-game rewards such as points and unlocked levels. The Empowered Brain is able to recognize human faces, and decode facial emotions. While the user is utilizing the Empowered Brain, the facilitator prompts the user to engage in a conversation about educational topics, such as for example their current assignment, homework, and academic progress. The Empowered Brain monitors and stores data regarding the user’s interaction with the facilitator, calculating the user’s performance using sensors that monitor the user’s interaction with the outside world, including the user’s gaze, head movements, eye blink, and audio. The collected information is available for real-time review through a password-protected web portal. The software applications of the Empowered Brain have been previously described, but include innovations through software, engineering, and data partnerships with a number of technology companies including X (formerly Google X, Mountain View, CA, USA), Affectiva (a leading Emotion AI company, Boston, MA, USA), and Amazon (use of an experimental AI technology). The participants included a student who was the recipient of the intervention, and several school educators who facilitated the interaction with the Empowered Brain. The student was a 13-year-old boy with a diagnosis of autism who received special education under an Individualized Education Program (IEP) at a mainstream public middle school in Massachusetts. He was recruited to the study through an online research database. The school educators were the student’s regular paraprofessional, a general education teacher, and a special needs teacher (Figure 2). They all had the opportunity to be orientated to the Empowered Brain, deliver the intervention, and provide feedback. Figure 2. A diverse range of educators were involved in this study, and included a special education teacher, a general education teacher, and a paraprofessional. The study authors provided a training program to the educators to familiarize them with the technology and the intervention. Consent has been obtained for images to be published in a publicly accessible research publication. Over a two-week period, the student used the Empowered Brain in conjunction with one of their educators, who acted as a facilitator. The intervention was provided in the classroom alongside his peers. The intervention duration was 10 min, and was delivered twice a day at approximately the same time. Each of the school educators had the opportunity to become orientated to the hardware and software of the technology, and actively provide the intervention in the real-world setting. A total of 16 sessions of intervention were provided, with the majority provided by the student’s general education and special education teachers (Table 1). Table 1. Delivery of Intervention by Educators. The table below outlines the number of sessions each facilitator conducted. The intervention consisted of the student wearing and using the smartglasses while sitting at a table opposite the facilitator (Figure 3). The student and facilitator would engage in a natural conversation, led by the facilitator, about relevant academic topics, such as for example a recent homework project or a topic that was studied that day. The student would receive visual and audio feedback coaching through the smartglasses during this conversation. The smartglasses would monitor the attention of the participant to the facilitator’s face, and provide game-like points and rewards when they paid attention. If the participant looked away from the facilitator for an extended period of time, and demonstrated reduced attention, the software would provide guidance to direct them back to the facilitator. Figure 3. (A) The participant and facilitator converse prior to the intervention while sitting opposite each other in a classroom setting. The participant displays minimal visual attention to facilitator, and displays fidgeting behavior with his hands. 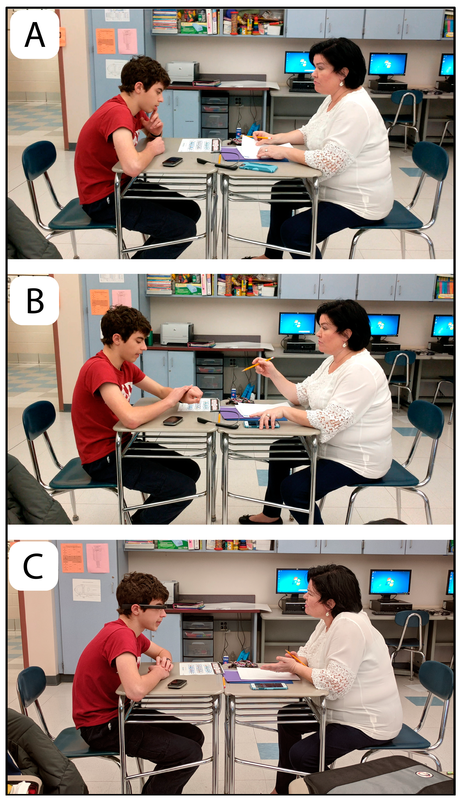 (B) The facilitator prepares the student for the intervention, communicating via verbal and non-verbal cues. The participant continues to display minimal visual attention towards the facilitator, instead focusing on his hands and wrists. (C) The participant now wears the smartglasses and receives intervention while interacting with the facilitator. The participant looks directly at the facilitator during the intervention, and no longer displays hand-based fidgeting. Consent has been obtained for images to be published in a publicly accessible research publication. This study studied an intervention that was undertaken in the special education and general education classrooms of a public middle school in Massachusetts. Each classroom typically consisted of two educators, namely the special education or general education teacher, alongside a paraprofessional. There were 11 and 23 students in the special education and general education class, respectively. School educators were asked to describe their experience of the smartglasses intervention, with a particular focus on the technical/practical aspects, the impact on the student, and the wider impact on their ability to teach the rest of the class (Figure 2). The educators were encouraged to describe their experiences through a digital logs and in-person interviews. Video interviews were conducted on a weekly basis. Educators were asked to provide insights organically throughout the study in their digital log. This content was reviewed for themes that would help identify the internal and external barriers to the adoption of this technology. Practical issues surrounding the delivery of the intervention, such as the ease of use, adequate space, and time were also noted. Importantly, the student’s response to the technology, and the teacher’s perception of whether the intervention was useful as an educational tool, were also noted. Educators were asked to think about whether the intervention would add to their workload, and how the intervention compared to past assistive technologies that they had utilized. School educators were specifically asked if they felt that the intervention had been a classroom distraction, whether they noticed any impact on the student, and if there were technical aspects to the intervention that could be improved. This research intervention performed under an IRB approved by Asentral, Inc. (Newburyport, MA, USA), Institutional Review Board, which is an affiliate of the Commonwealth of Massachusetts Department of Public Health. The study was performed in accordance with relevant guidelines and regulations. Consent was obtained from the mother of the participant, and assent was obtained from the participant. Consent was also provided by all of the educators involved in the study. The general education and special education teachers both felt that the technology was easy to use, and manageable to implement in the classroom setting (Table 2). The paraprofessional identified that she did not fully understand the experience/mechanics of the game-like interaction that the student was experiencing. It would be noted that the paraprofessional only facilitated one session of the intervention, compared to the seven sessions provided by the special education teacher, and eight sessions provided by the general education teacher. Additionally, the paraprofessional also noted that she felt her workload had increased, although she attributed this to the need for keeping documentation for the purposes of this research project as opposed to additional workload when providing the intervention. The special education teacher, who has experience teaching over 100 children with autism, noted that children have a fondness for technology, and this appears to be the case for the Empowered Brain. Table 2. Educator perception of the practicality and implementation of the Empowered Brain. Perceptions sourced from video interviews and typed digital logs are outlined below. Table 3. Educator perception of the student’s usability of the Empowered Brain. Perceptions sourced from video interviews and typed digital logs are outlined below. Both the student’s special education and general education teachers noted that the student demonstrated improvements in his level of eye contact and participation in classroom activities/discussions during the study. His general education teacher identified an improvement in the student’s conversation skills during the intervention. While the special education teacher noted a sustained improvement and mindfulness of eye contact, he did not notice any changes translate to the student’s reading comprehension. See Table 4 for further details. Table 4. Educator perception of the Empowered Brain’s impact on the student’s behavior. Perceptions sourced from video interviews and typed digital logs are outlined below. Impressions of the effect of the intervention on the student’s attention was varied (Table 5). During the exercise, it appeared that the student demonstrated very high levels of attention, and was able to stay on task. However, a slight increase in distractibility was noted by his special education teacher, although this apparently did not impact his academic work. Table 5. Educator perception of the Empowered Brain’s impact on the student’s attention. Perceptions sourced from video interviews and typed digital logs are outlined below. The student was concerned that he would be missing out on other activities while he had the intervention (Table 6). His general education teacher believes that it is important to explain to the student the purpose of the game as an attempt to alleviate the stress of the student, who may feel that they are not getting through the other work of the day. It should be noted that this student participated in one daily session of the intervention during his Civics period, in which the teacher was providing the class independent study time to complete their class projects. The student often aimed to complete as much of his homework during the school day, and was concerned that the time he spent doing the intervention would take away from time completing his project. This may be particularly important in children with autism, as they can demonstrate rigidity and a need for consistency in regard to their activities and schedule. Table 6. Educator perception of the impact of the Empowered Brain on the student’s classroom tasks. Perceptions sourced from video interviews and typed digital logs are outlined below. The educators stated that they enjoyed spending time with the student, and did not feel that the intervention was a distraction to their classroom activities (Table 7). Additionally, they felt that providing the intervention was actually time well spent, and they felt like they had more quality time with the student (Table 8). The special needs teacher felt that while other students in the special needs class were curious about the technology, the intervention did not lead to any disruptions, specifically no class arguments or fights. His general education teacher was very happy about having real-time feedback, and being able to adjust his teaching to the needs of the student with this information. Table 7. Educator perception of classroom distraction during intervention use. Each facilitator rated whether the intervention distracted their typical classroom functions during each session. Table 8. Educator perception of the advantages of the Empowered Brain on their classroom. Perceptions sourced from video interviews and typed digital logs are outlined below. Educators also provided some additional feedback regarding the use of the web portal that was integrated into this technology. They noted that some improvements could be made to the web portal where data regarding the intervention was obtained. 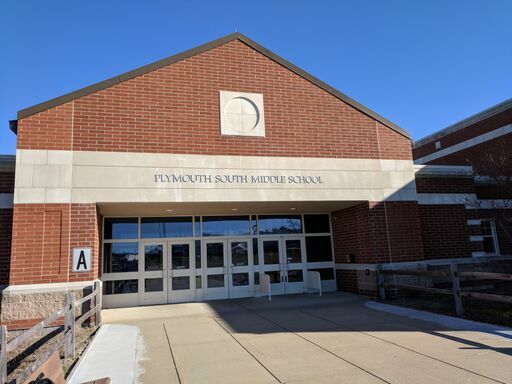 They stated that having access to a better wireless internet connection would be useful, as the initial attempt to use the school’s wireless network was unsuccessful. Educators also wanted the web portal to have added functionality where communication could occur between educators, and auto-generated reminders were also available. Demand for special education services for students with autism remains high, and novel assistive technologies may help augment current efforts. However, research has identified a range of barriers that impede the implementation of technology in the classroom. These barriers are especially problematic for special education. Modern lightweight smartglasses with educational software may prove to be a useful assistive technology. These devices are powerful face-worn computers that are sensor-rich, and able to collect information and provide feedback to users. These smartglasses have the ability to collect real-time behavioral and cognitive data metrics. These data can be analyzed and presented to educators as raw scores or as reports. Educators can use these reports to help augment their own observations about the student, and help to further develop both a short-term daily strategy, and longer-term IEP-based goals. Despite a range of potential attitudinal and practical issues, this study found that this unique smartglasses-based educational intervention, the Empowered Brain, could be delivered by educators in a typical classroom setting. Educators felt positive about using the technology and found it to be a practical and useful tool in the classroom. Smartglasses are an emerging technology, and it was promising to see that teachers found the system to be reliable and robust over the course of two weeks of testing. Potential concerns about the technology not being suitable in a classroom setting were allayed in part by the finding that teachers were able to logistically allocate time and physical space within both special education and general education classroom schedules to provide the intervention. In almost all of the circumstances, the concurrent delivery of the intervention within the classroom did not result in any significant distraction to the rest of the students in the class, despite no change in educator staffing levels. Reassuringly, educators found the intervention to be helpful to their relationship with the student; it even resulted in reports of improved class participation, social interaction, and eye contact. However, other areas of academic performance, such as reading comprehension, were not affected. While the qualitative findings of this preliminary report are positive, there are a number of important limitations. Firstly, the individual student cannot be considered to be representative of all students with autism, or of all students receiving special education. In this light, this research group is conducting further studies with a larger student and educator group across a series of school systems in the United States. Secondly, while qualitative teacher-reported insights suggest improvement to the students functioning, quantitative measures, including validated outcome measures, would provide additional supportive evidence. Thirdly, this study assessed 16 intervention sessions over a two-week period. More longitudinal study into the use of the Empowered Brain would also be warranted to determine whether there would be future practical or reliability issues, or whether educator attitudes would change over time. 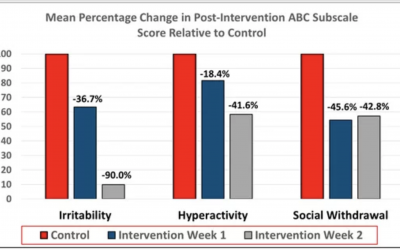 Overall, it appears that despite many potential practical and attitudinal barriers to the implementation of this technology for special education intervention in the classroom, the Empowered Brain social communication intervention was found to be practical, feasible, and result in improved student social interaction, as reported by a group of school educators. Conceptualization, N.U.K., A.V. and N.S. ; Formal analysis, N.U.K., A.V. and K.H. ; Funding acquisition, N.S. ; Investigation, N.U.K., A.V., R.A.-S. and K.H. ; Methodology, N.U.K., A.V., R.A.-S., K.H., J.P.S., R.L. and N.S. ; Project administration, N.U.K., A.V. and N.S. ; Resources, R.A.-S., J.P.S., R.L. and N.S. ; Software, J.P.S., R.L. and N.S. ; Supervision, N.U.K. and N.S. ; Visualization, A.V. ; Writing–original draft, N.U.K., A.V., R.A.-S. and N.S. The authors thank Google, Inc. for a generous grant, and the Glass team at X (formerly Google X) for technical guidance on Glass software development. The authors also thank Amazon and Amazon Web Services for support, guidance, and access to pre-release artificial intelligence tools. The authors are also grateful to Affectiva for their emotion artificial intelligence technology that has helped to enable this work. This work was supported by the Office of the Assistant Secretary of Defense for Health Affairs, through the Autism Research Program under Award No. W81XWH 17-1-0449. Early work to transform smartglasses into biomedical sensors was supported in part by the United States Army Medical Research and Materiel Command under Contract No. W81XWH-14-C-0007 (awarded to TIAX, LLC). Opinions, interpretations, conclusions, and recommendations are those of the authors and are not necessarily endorsed by the Department of Defense. NTS is the inventor of the Empowered Brain system. All of the authors have affiliations at Brain Power, a neurotechnology company that supported this report. Brain Power receives funding support from US Federal and Congressional sources. Snyder, T.D. ; de Brey, C.; Dillow, S.A. Digest of Education Statistics 2014, NCES 2016-006; National Center for Education Statistics: Washington, DC, USA, 2016.